Among the many injuries suffered by high school athletes, a torn hamstring is one of the more painful and often requires a lengthy recovery time. As student athletes return to school, learn how to treat hamstring pulls using the R.I.C.E. method and how to prevent muscle tears with proper stretching and exercise. How Do Hamstring Muscles Tear? A hamstring consists of three muscles– the semitendinosus, semimembranosus, and biceps femoris- that run down the back of the thigh. The hamstring begins just below the pelvis and extends just below the knee into the lower leg. The hamstring allows the knee to bend and straighten while walking, running, or jumping. When the muscles are stretched beyond their limit or overloaded with force, a tear in the hamstring can result. The severity of the tear can range from a small partial tear to a large, more complete tear. Hamstring tears often result during a sudden and explosive movement such as running or jumping. Properly warm up and stretch your hamstrings before any physical activity. Only gradually increase the intensity of physical activity. Halt physical activity if you feel any amount of pain in the back of your thigh. Engage in exercises to strengthen the hamstrings as stronger hamstrings are more resistant to tears. While severe hamstring tears can require surgery, the best remedy for a mild to moderate tear is time. There are a few things you can do to speed up the recovery process. Rest the leg as much as possible, and consider using crutches to take weight off the leg. Ice the leg for 20-30 minutes once every three to four hours. Compress the leg with an elastic bandage. Keep the leg elevated as often as possible. Anti-inflammatory painkillers can be taken to cope with the pain associated with a torn hamstring. 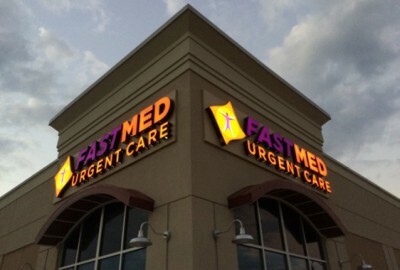 The medical professionals at your local FastMed Urgent Care can provide the proper treatment for a torn hamstring and get you or your child back in the game. We strive to provide care that is compassionate, fast, and affordable.